If you live in the Portland or Vancouver area, then you’re familiar with cloudy and rainy days. Unfortunately, this is exactly the type of weather that moss and fungi need to grow and overtake your roof. 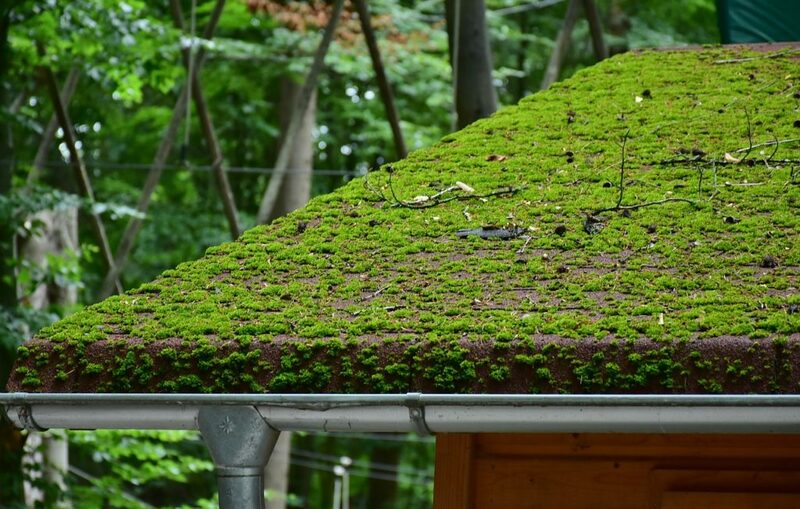 Whether you notice a small amount of moss on your roof or are dealing with a roof completely overgrown with moss, we can help remove and prevent moss on your roof! At Northwest Roof Maintenance, we offer a proven moss removal treatment to homeowners in the Portland and Vancouver area. Our process uses a combination of compressed air and soft brushing to clear away roof moss. First, we’ll gently brush away the moss by hand, freeing it from your shingles. Using air, we’ll blow the loosened moss and debris out from between the shingles/tiles/shakes of your roof. Lastly, we’ll clean your gutters and always do a full clean-up of the area and check in with you to make sure you’re satisfied with the results. Our moss removal process does not damage your shingles. Removing moss will help prolong the integrity of your roof. We use tried and true preventative treatments to keep moss and other rot-causing organisms away from your roof. Our moss prevention treatments cover the entire roof, ensuring moss has nowhere to grow. On tile and composition roofs, we use a water-based zinc treatment to kill the moss. This treatment can take up to a few weeks to fully kill the moss. 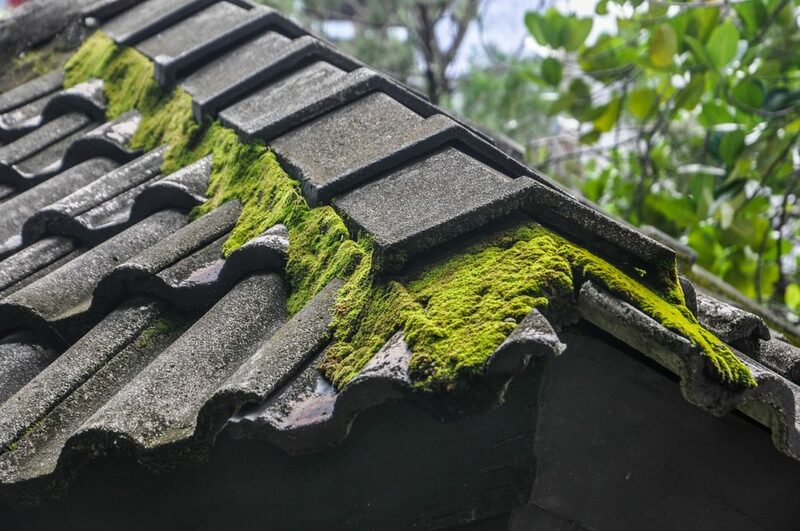 The moss on your roof will slowly turn a yellowish-brown color and eventually turn black. Our liquid spray soaks into your shingles, ensuring that new moss doesn’t take root. For cedar shake roofs, we use a special copper based treatment. This treatment not only controls moss, it also doubles as a pesticide, warding off damaging insects like termites and powderpost beetles. As another added bonus, this copper treatment reduces warping, splitting, and other deterioration caused by moisture fluctuation. At Northwest Roof Maintenance, we’re experts at removing and preventing roof moss in the Portland and Vancouver area. When you work with us, you’re partnering with a team committed to incredible customer service and outstanding roofing results. When you call us for an estimate, our experienced onsite consultants will review the extent of your moss damage and give you an accurate diagnosis. We only recommend services your roof actually needs and will never encourage you to purchase an expensive treatment or repair you don’t actually need. Our goal is to make sure you’re 100% satisfied. Do You Offer a Warranty on Your Moss Prevention Services? Yes, we do provide a warranty on our treatments. If your first application isn’t effective, we’ll come back within the warranty period at no cost to you! Can You Apply a Moss Prevention Treatment If It’s Raining? Our moss prevention treatment can be applied even in a light drizzle. It’s the optimal treatment for our rainy Portland and Vancouver weather. We always follow this general rule: the treatment can be applied unless it is raining hard enough for water to be running down the roof. What Is the White Residue on My Roof? It’s not uncommon for a white residue to appear on your roof in the few days following a moss prevention treatment. This residue is caused by a high concentration of zinc and is completely harmless to your roof. It will rinse away with the next heavy rain. Can You Remove Moss from Cement Tile and Cedar Shake Roofs? On cement tile and cedar shake roofs, a high-pressure wash may be necessary to free moss, mildew, lichen, and algae. This process can accelerate the deterioration of your roof, so we only use this method in extreme cases, or as required by HOA regulations. Northwest Roof Maintenance came out to seal a leaking skylight, replace some vent boots, and do an all over moss removal and treatment. They were on time, courteous, and did the job for a great price. Will definitely use them again! Are You Ready to Get Your FREE Roof Estimate?